Welcome to the Liberty Eiffel home page! Liberty Eiffel documentation is available on our Wiki. We also maintain our browsable class reference for the libraries (and tool classes) included with Liberty Eiffel. To get started using Liberty browse the Getting Started page on the wiki. A nice introduction to the Eiffel programming language can be found here. A mailing list can be found at liberty-eiffel@gnu.org, the archives are on http://lists.gnu.org/archive/html/liberty-eiffel/. Before the project moved to GNU website, another mailinglist was in use. Those archives are here. Liberty Eiffel's second release, code-named Bell, is freshly out! Our next release, code-named Curtiss, is currently being worked on. Just download this source tarball, unpack it, and call the install.sh script on Linux. You may have to adapt it on other platforms. Please send patches! See also the precompiled packages for Debian. 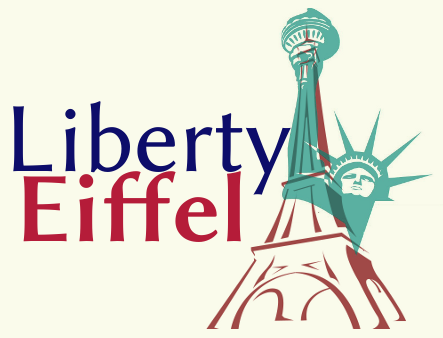 The Liberty Eiffel project is driven by an open team of active developers interested in a free Eiffel implementation. There is no formal association for the project but in case you need to contact us via letter, write to Raphael Mack, Joh.-Seb.-Bach-Str. 3, 74321 Bietigheim-Bissingen, Germany. To reach the project via email write to liberty-eiffel@gnu.org. liberty-eiffel.org does not need nor uses any cookies. liberty-eiffel.org does not sell nor passes on any personal information it may have gathered. the server infrastructure used to host liberty-eiffel.org creates and saves the normal Apache web access log files. These files are used to monitor and improve our services, none of the information gathered this way is used for marketing purposes. the Liberty Eiffel sources are hosted by SAVANNAH.GNU.ORG and replicated to GITHUB.COM, both hosted outside of Europe. liberty-eiffel.org uses these services to store the Liberty Eiffel source code repository, but has no influence or say in how these sites manage or use the data stored on their infrastructure. On both sites you are free to download the sources anonymously. If you choose to become an active contributor, to be granted writing access to the repository, you'd need to provide information like name and email address at those non-European sites, and you'd do so at your own discretion.